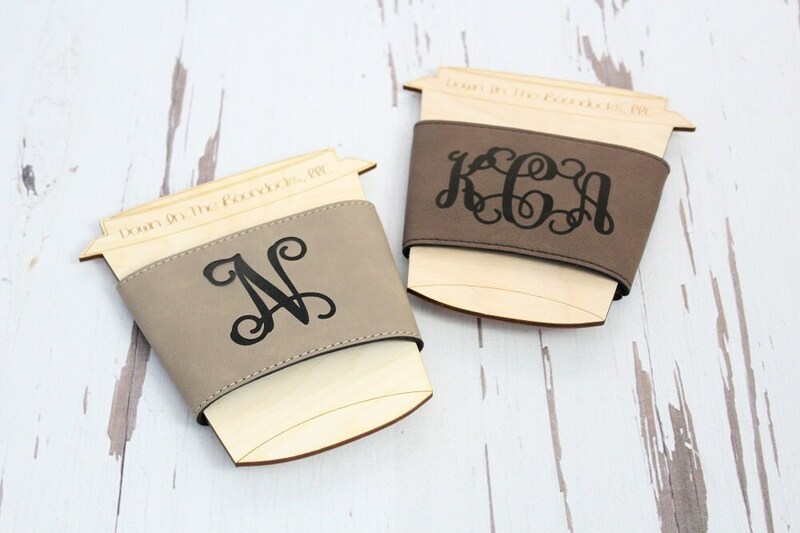 Custom Engraved leather mug sleeve. 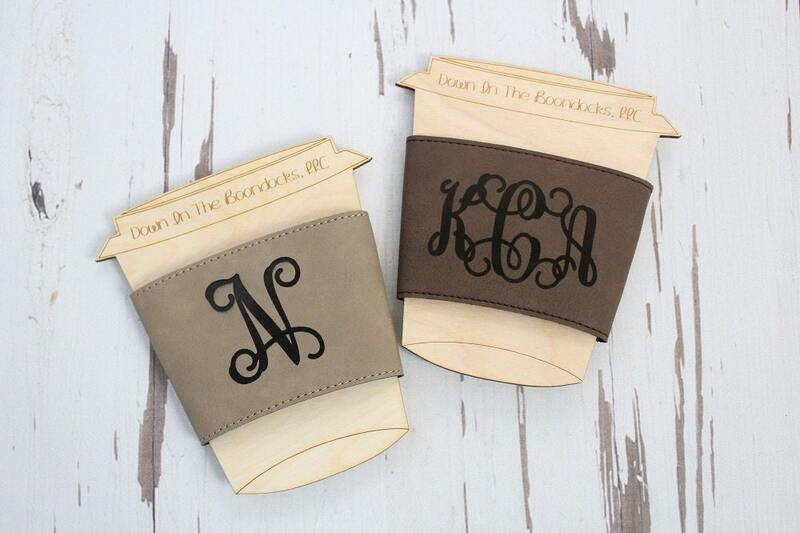 (2) colors available Taupe or Brown. 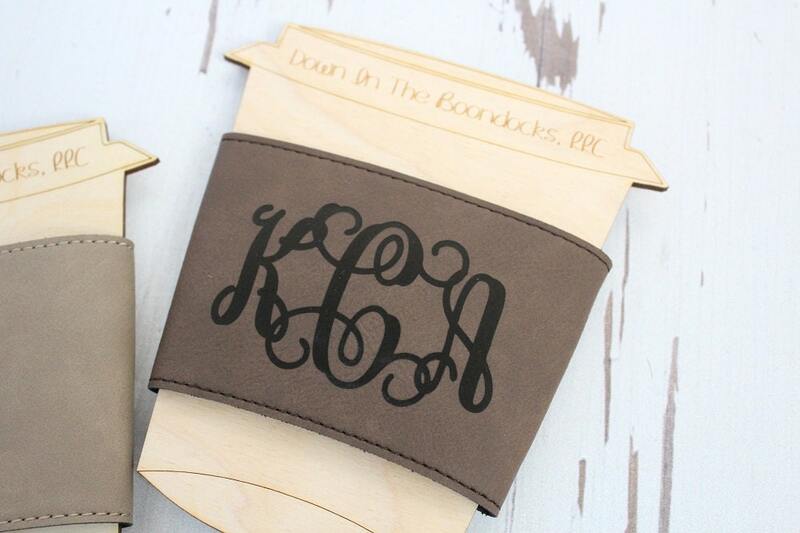 The wood mug cutout is included with your sleeve. 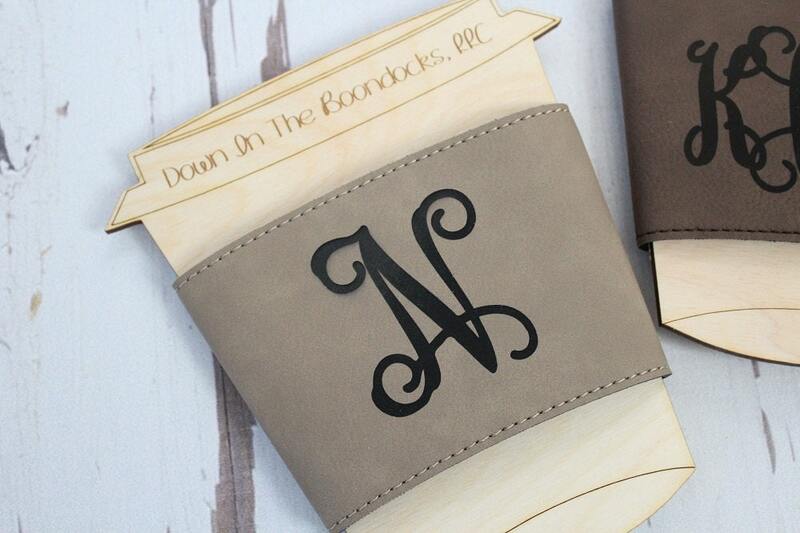 Please leave the initial(s) to be engraved onto the sleeve in the notes to seller upon checkout. 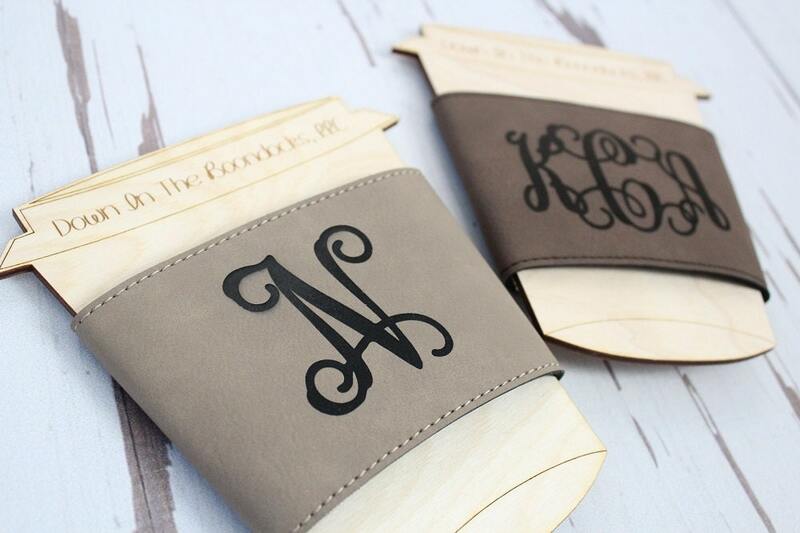 Good quality, monogram was nicely done. Recipient happy with gift!